Amazon’s foray into the games industry is proof nobody can shortcut their way to a hit. It’s been fully five years since the online retailer, worth more than most (if not all) of the major video game publishers combined, announced it was going to start making video games. And it started so well! 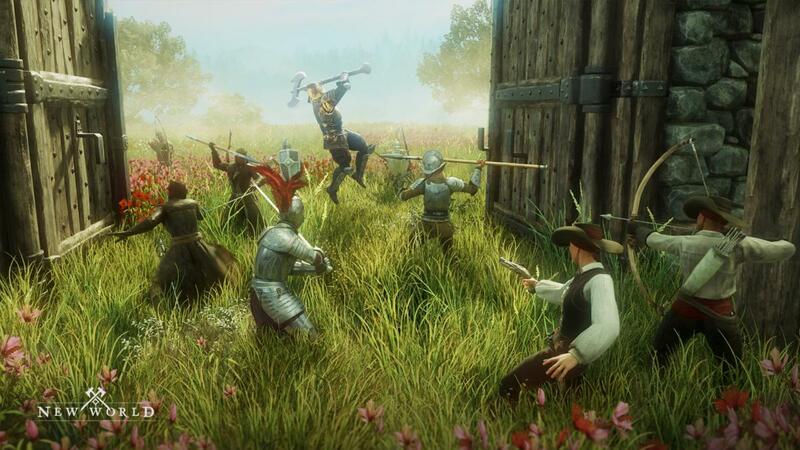 Amazon forked CryEngine into its own proprietary engine, Lumberyard. It hired Clint Hocking, hired Kim Swift—hired the sorts of people, in other words, that you’d want to see making games. Then it uh...lost Clint Hocking, lost Kim Swift, and canceled the only Amazon game we’d seen in action, the MOBA-esque sports game Breakaway. So what’s left? Well, New World. 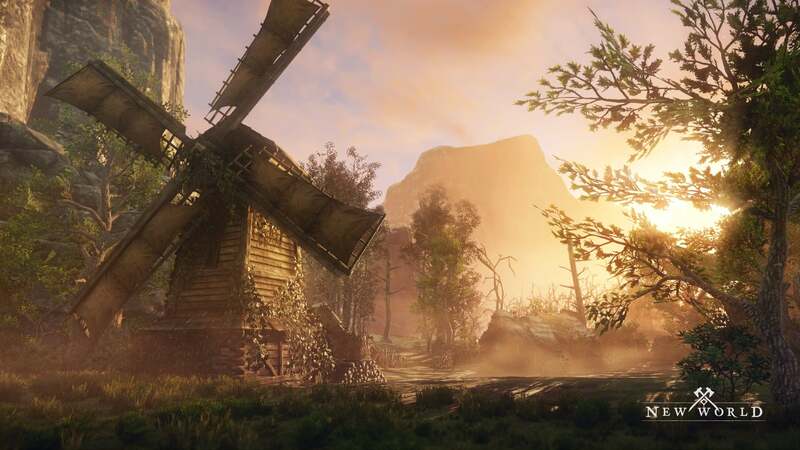 Announced at the same time as Breakaway, New World is an online sandbox set in the 17th century, a combination survival game, builder, and social sim. There’s a lot going on here, for sure. The only problem? I’m not convinced the players will cooperate with Amazon’s vision. We had the chance to go hands-on with New World earlier this week here in San Francisco. I’ll be honest: Two hours? Not enough time to demo a game of this scope. To its credit, Amazon Game Studios tried its best by giving our entire play-session of around 20 people a “guided tour” through some of the major features. But it’s hard, because New World is very much a sandbox. When I think MMO, I still think of World of Warcraft, or more modern examples like The Old Republic, Elder Scrolls Online, Final Fantasy XIV, Warframe, and so on. These are all wildly different games, but stem from the same role-playing game influences. They all have heavy story components. There are missions, characters, shopkeepers, and so on. All those games succumb to the same problem, as well. See, it’s impossible for developers to produce content faster than players consume it. In the old days this led to a roller coaster, with large expansions seeing an influx of players for a few weeks or months, then a gradual falling off. Nowadays devs supplement those larger expansions with smaller missions or activities, generally every few weeks or months. Regardless, players are waiting on developers to provide the bulk of the entertainment. New World puts that burden on the players. It’s not a new idea. Hell, EVE Online’s done it this way for nearly two decades now. EVE’s story is generally not what keeps people playing, it’s the complex and player-created political machinations. CCP gives you the tools, you use them to stab someone in the back. Easy. And yet if it’s so easy, why hasn’t anyone else done it? Two reasons, I think. One, you need enough players to populate the game world and create these intricate factions. Two, and this is a related issue, is you need that back-and-forth to be interesting enough that players stick around, form ever-more-complex webs of alliances, build up items worth losing, and ultimately create a functioning society. Sure, it’s a society in a bubble, but entire books have been written about EVE Online’s factions. It’s (relatively) easy to get people playing your game. It’s much harder to lead them to create the kind of organic interactions you need to keep a sandbox game alive. 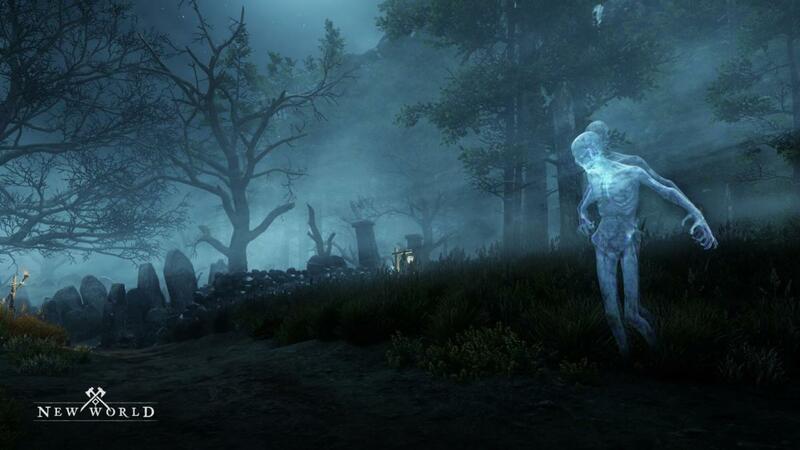 The past decade’s littered with games that tried and failed. DayZ had that magic for a year or two before succumbing to Early Access Hell. Just Cause 2’s multiplayer mode had a few months in the sun. Sea of Thieves tried, but its world felt empty and its loop too repetitive. Fallout 76 quickly devolved into nonstop nuclear warfare or, worse, players just simply ignored each others’ existence. All this is to say, New World has an uphill battle ahead of it. The concept is unique enough. As I said, it’s set in the 17th century, the tail end of the Age of Exploration. You and hundreds (or thousands) of strangers are sent to an uncharted island, one of the last in the world—uncharted because nobody’s ever returned, not because nobody’s tried. Surprise, there’s something weird about this island, remnants of an ancient civilization. Also, zombies. But none of this is really “The Point” of New World. From what I can tell there are no missions in the game. Nobody’s telling you, “hey, maybe go check out this weird ruin up north,” or anything. I could be mistaken, but we didn’t see any evidence of that in our demo at least. Instead these elements exist as set dressing for the world, there for players to poke around in if they so choose. The focus is on building faux-societies, from scratch. There’s a major survival game element here. If you’ve already had your fill of chopping down trees and collecting rocks, New World is absolutely not going to sway you. It’s...a lot of that. Collect sticks and flint, make an ax and a pick, collect more wood and stone, turn that into walls. I imagine people generally know what they’re in for by now with one of these crafting games, and New World doesn’t really break from the mold. New World’s island is peppered with claims, though: plots of land where players can group up and build larger strongholds. You can put up fortifications and gates, create better crafting tables, all the usual stuff—except as with EVE, this all happens in groups. Impromptu factions form, if only because you built a wall and it took you an hour to harvest enough stone to do it and you don’t want somebody to break the thing down. Or at least, that’s how Amazon envisions New World working. That exact example, a player not wanting their wall broken, was cited multiple times during our demo. I can certainly see the intent. One of the most unique things Amazon’s done is make building prohibitively expensive, from what little I saw of that system. Keep in mind we didn’t do much building ourselves, but even basic fortifications seemed like they’d take a concerted effort to erect. Maybe it’s enough to get people invested in their new society. What if people don’t get invested? That’s my real worry with New World. 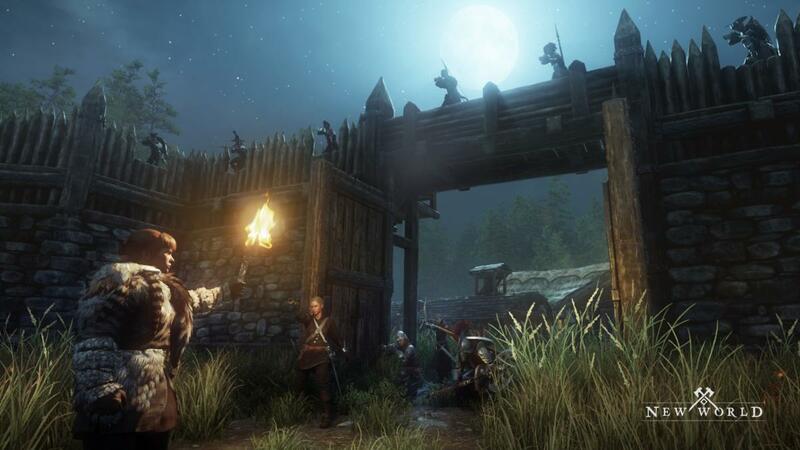 When Amazon Game Studios describes New World, it sounds neat—thousands of players all vying for control of this island, building forts and declaring war and jockeying for position. The non-combat roles sound interesting as well, with the developers telling us you could role-play an archaeologist or an engineer, or what-have-you. 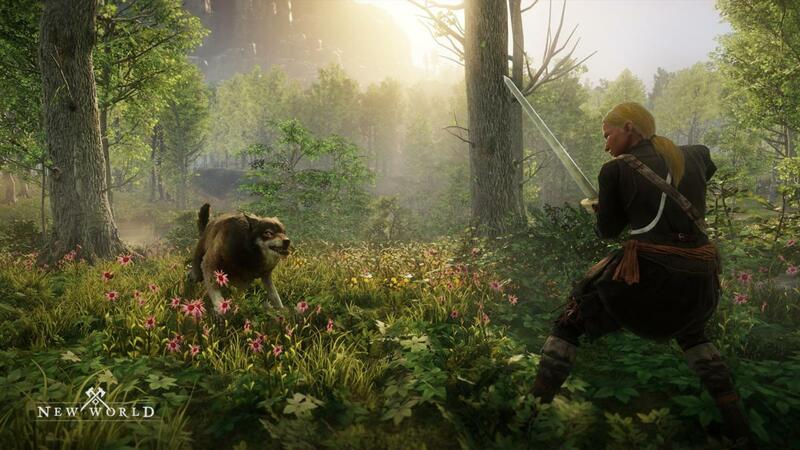 With no structure, everything ultimately depends on how players react to New World. If they embrace it, Amazon’s vision could become reality and New World could become a blueprint of sorts for future MMOs, or at least a bright spot in a tempestuous genre. If they don’t? Well, we’re in for another Sea of Thieves, another Fallout 76, another sandbox that sounds conceptually interesting but minute-to-minute boils down to the player feeling bored and trying to wring entertainment from a limited tool set. It’s hard to know which future is in store, and maybe that’s the most surprising aspect—that Amazon, with all its resources, can’t guarantee a hit game either. This story, "New World preview: Amazon's debut video game is a sandbox MMO with a lot of faith in its players" was originally published by PCWorld.